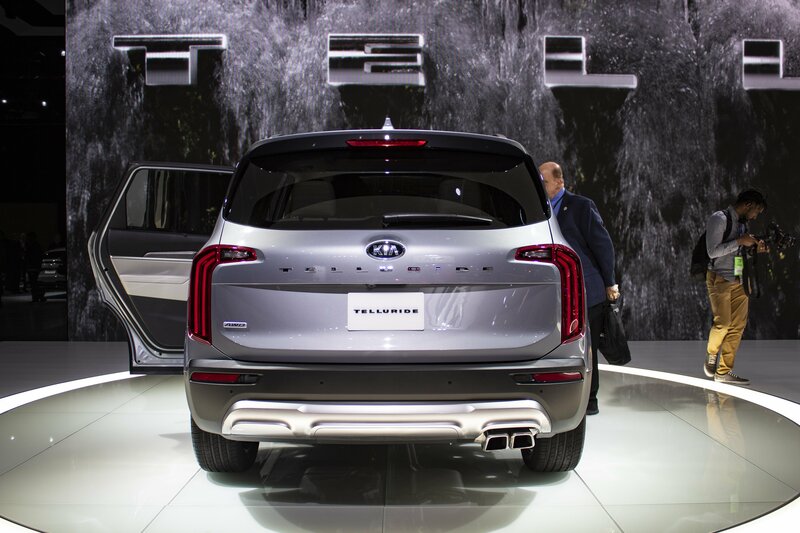 Unveiled at the 2019 Detroit Auto Show, the 2020 Kia Telluride is the company’s largest SUV yet and the first vehicle the Korean brand developed specifically for the U.S. market. It is based on the Telluride concept shown in 2016 but the two share very few features inside and out. It shares underpinnings with the 2019 Hyundai Palisade, introduced in 2018. Although it’s the largest Kia yet and it can seat up to eight people, the Telluride isn’t much bigger than the Sorento. However, the few extra inches it has in the wheelbase and width enable it to compete with the popular Honda Pilot and the newly introduced Volkswagen Atlas. Like most midsize SUVs, the Telluride comes with just one engine in the form of a V-6, but if the concept before it is any indication, a hybrid drivetrain will be offered soon.